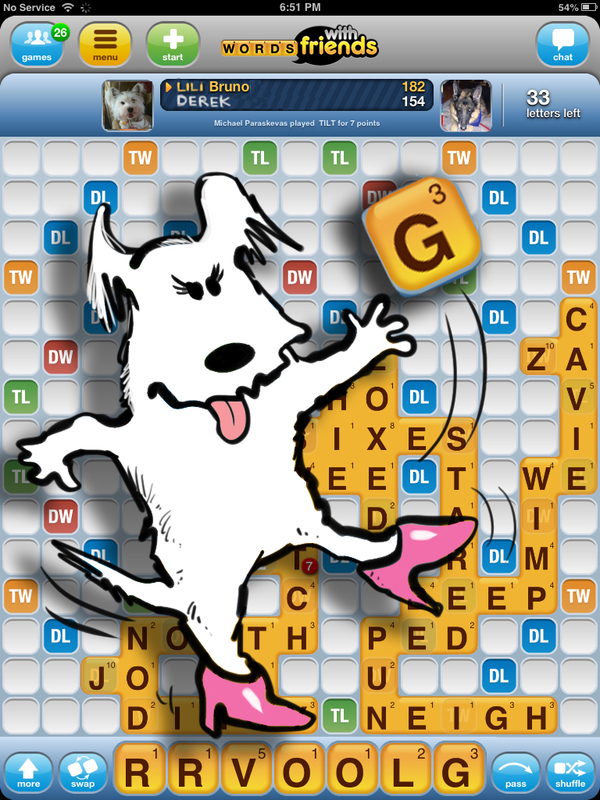 Lili's Scoop: Words with Friends, Barking with Frenemies, and Nudge Nudge Alec Baldwin! All the news, all the gossip, seven days a week! 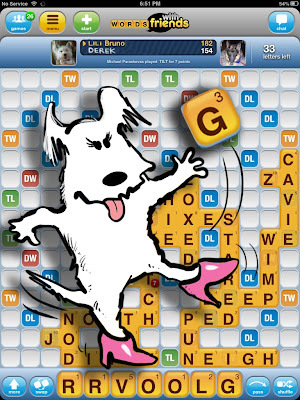 Words with Friends, Barking with Frenemies, and Nudge Nudge Alec Baldwin! Is that a triple word? It sure is. The Internet is an amazing tool. Especially that all of you get to visit with me, Lili, each and every day! I love to win, win, win! I especially love, love, love WWF ( Words With Friends). It is as addictive as my bacon cheddar cheese nips! I recall a certain celebrity that was involved with an airline in a little fracas when refusing to stop playing WWF before takeoff! I thought to myself, now, now Alec Baldwin, you are always getting yourself in trouble! Oops... did I just say his name? I will be getting a phone call as fast as I can count down 3,2,1... Riiiiiiiinggg! 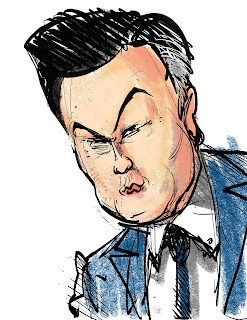 Alec calling to scold me about bringing up his bad conduct. He called me a "little big mouth mutt!" He really has to control himself. I am a pedigree, blue blood, Alec! The ASPCA will soon be knocking at his door! Alec , Alec... I am sorry my handsome movie star! I do love you and all of your work! You are fabulous! Wonderful! You are almost as fantastic as me! Note to self: Stroking Alec's ego keeps him smiling! I know from personal experience! 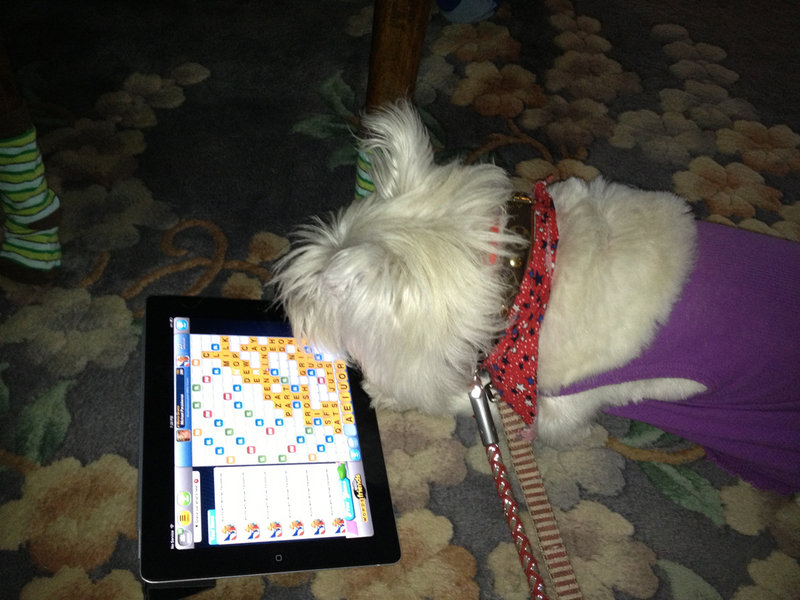 Everyday I, Lili, play Words With Friends with my BFF, Derek. We play about 15 running games. Sometimes he wins but most of the time I win! I strategize. I block. I play good offense and great defense. I win! I Love to Win! I have to win! Derek tells me I am too competative. Where on earth did he get that idea? I must beat him! I Cannot lose! So what if I stop everything I am doing to play a word? 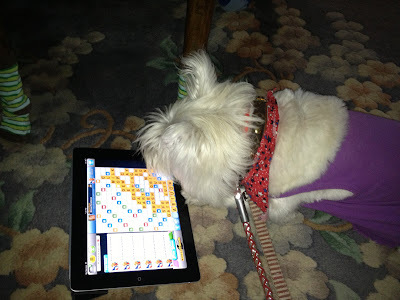 I also play with my friend, Peeples! 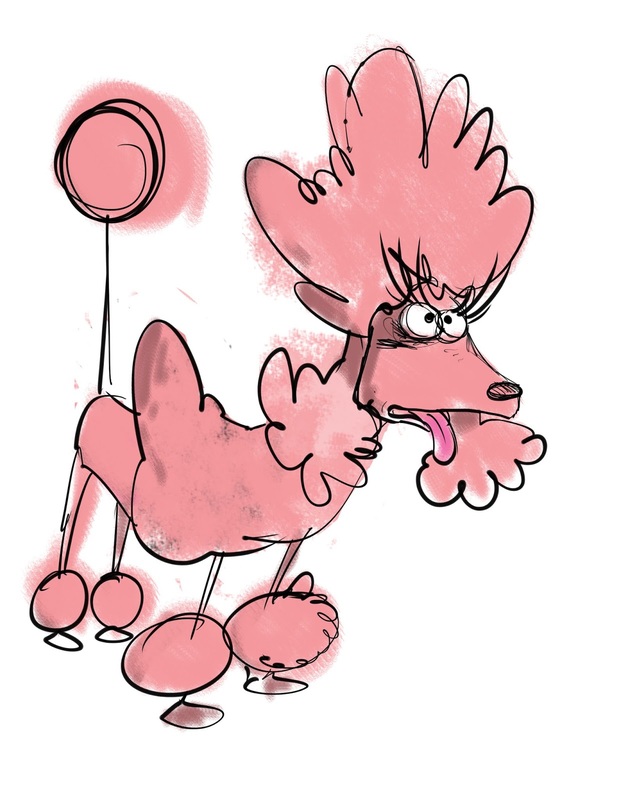 She is a poodle and prides herself because she has a doctorate degree in Canine Psychology. She prances around like poodles do, because she thinks she is very smart. She thinks she is great because she doesn't shed. Peeples sometimes dampens the rug. But she did have a number of rug incidents in the past and she is always Nudging me! She thinks she is so intelligent! Well I have news for all of you! I, Lili, am smarter than Peeples! We played 20 games and I won 19! I never hit the rematch button, because I don't want to rub her losses in that little wet nose! Besides, she just doesn't challenge me enough! Derek plays her too! He takes joy in beating the great intellectual Peeples. Derek and I have the best time bringing Peeples down a notch! Her biggest word was cat and she had the audacity to spell it with a "K" repeatedly. Sometimes Derek and I even help each other beat her! I play words like Lili, star, great, fabulous, dazzling and of course pink! And once I played pinky! For 113 points! Double letters, double and triple word all together! One time, when I was on a flight and I was playing WWF on my iPaw, The lovely flight attendant, Jane Plane, asked me to kindly shut down my device. I didn't snarl, or growl or show my teeth like Alec did. I, being the star I am, inquired in a lovely tone, if the pilot did not mind waiting a moment for me to play one more word. To my surprise, they made an announcement and the flight was delayed for a whole 10 minutes. The pilot then made the announcement that I, Lili, won the game and the applause I received was overwhelming! See Alec, you get more with honey than outdated can of D-O-G food! So I encourage you all to try WWF! It keeps you sharp and on your paws! Alec ring me! I forgive you! We will eat some cheddar bacon bits together and play WWF all day! The Bachelorette: Who's Crying Now? RHONJ Trash Talking Telling Me Lies! Westhampton Beach's own Messina Jewelry! Today's Green Monkey Episode featuring ME, Lili. The Three H's: Happy, Horses, and I am in Heaven! I get to audition for Annie.